The iPad Pro, together with its keyboard offers a powerful, thin, alternative to the laptop. iPad Pro: the ultimate tool for creativity? WITH more of us using larger phones, many have written off the need for a tablet device. But spend a couple of months with the iPad Pro, especially if you're a 'creative' type, and you'll probably fall in love with it all over again. 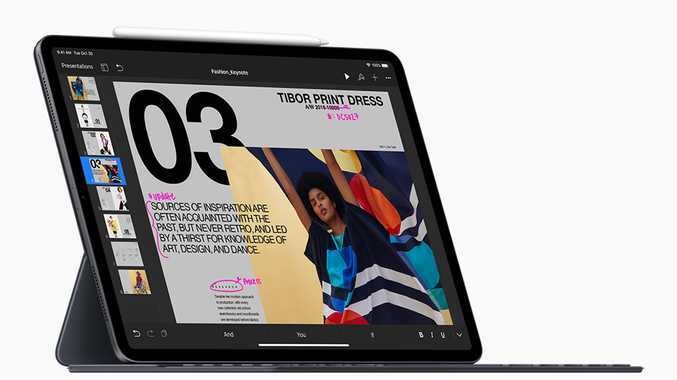 With a far more powerful processor, much better keyboard, and incredible display, this is Apple's ultimate laptop killer. If you're into photo or video editing, or have business applications that need a lot of grunt, this is device worth another look. 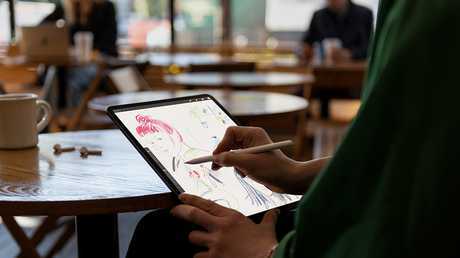 When it was launched, Apple made much of the fact that its A12X Bionic engine delivered faster performance than more than 92% of all portable PCs sold in the last year, including those powered by Intel Core i7 processors. The A12X has four performance cores to tackle heavy tasks and another four high efficiency ones for everyday tasks. This is complemented by a seven core graphics processor which offers the same grunt as the X Box One S class - or 1000 times that of the original iPad. The full screen display means you get more iPad in a smaller footprint. Apple's neural engine can now complete a mind-blowing 5 trillion operations per second, something that allows augmented reality, for example, or high end gaming, to come to life. One of the big crowd pleasers was the announcement that Photoshop CC from Adobe would be available on the iPad in 2019. We've been testing the iPad Pro with everything from high resolution drone footage to 4K video, as well as photo editing. Watching underwater footage from a GoPro on the Liquid Retina display just takes you there. The iPad Pro now features a USB C connection. The new USB C connector allows you to bring in media from cameras and other non-Apple devices a lot more quickly, while a 'cheat' allows you to quick charge your iPad using a MacBook charger. The addition of Face ID makes launching quicker and simpler, while the fact that the new Apple Pencil attaches magnetically - and charges at the same time - is a cool addition. 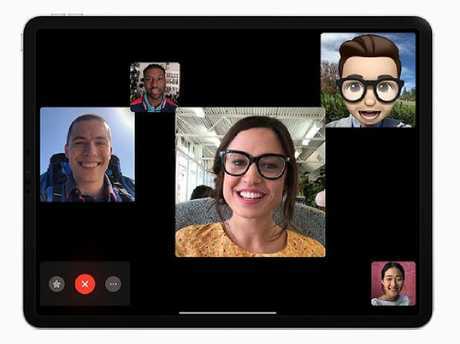 When using FaceTime in a group, the avatar of the person who is talking will become more prominent. With a double tap you can change tools-like from a pencil to an eraser within Notes . The new Smart Keyboard Folio - which has two viewing angles - feels a lot more sturdier, making it more of a laptop experience while you're sitting at an airport lounge or on your own at home. The iPad Pro comes in 11-inch and 12.9 inch configurations which is just 5.9mm thick. While cameras are never a big selling point of tablets, it comes with a 12MP back camera which can take 4K video and a 7MP TrueDepth front camera which can be used for individual or group FaceTime, portrait selfies, animoji and memoji. The audio system on the iPad Pro has gone to another level with four speakers and five microphones. Just like the top of the range iPhones, you can also now record in stereo. For business people doing international travel, the iPad Pro offers support for up to 29 LTE brands. Using eSIM technology, you can also sign up for cellular data plans on your iPad in more than 180 countries. For iPhone users, one of the best selling points of the iPad Pro is how familiar it is to your phone in user experience. But with a much bigger screen, keyboard and pencil combination, it is a far superior tool to let the creative juices really flow - whether it being creating new music, art or even your own augmented reality. With literally a million apps designed specifically for the iPad, there really is no limit to your creativity. The iPad Pro is built for business and pleasure. The second- generation Apple Pencil is A$199. The new Smart Keyboard Folio is A$269 for the 11-inch iPad Pro and RRP A$299 for the 12.9-inch iPad Pro. 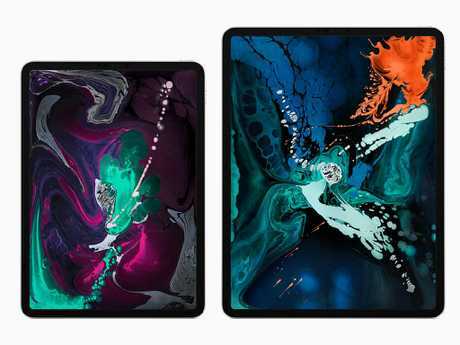 A new Smart Folio for iPad Pro, in a protective, polyurethane folio design, will be available in a variety of colours for RRP A$119 for the 11-inch iPad Pro and RRP A$149 for the 12.9-inch iPad Pro. Adobe Photoshop Lightroom CC gives you a powerful, yet simple solution for capturing, editing and sharing your photos. iScape, an outdoor living and landscape design app, is leveraging new ARKit features to create an immersive and realistic design experience. iScape is connecting physical and digital worlds so homeowners, DIY'ers, and contractors can visualise a project before the digging begins. Morpholio Trace takes design and drawing to a new level. Whether it's a simple home renovation or a project for a pro, Morpholio Trace has become the all in one drawing and sketching app for designers, architects, interior designers, and creatives of all types. Shapr3D is a Parasolid based professional CAD system, designed specifically for the iPad Pro and Apple Pencil. It provides a desktop CAD system power, with a natural, gesture based interface, that's possible to master in days.